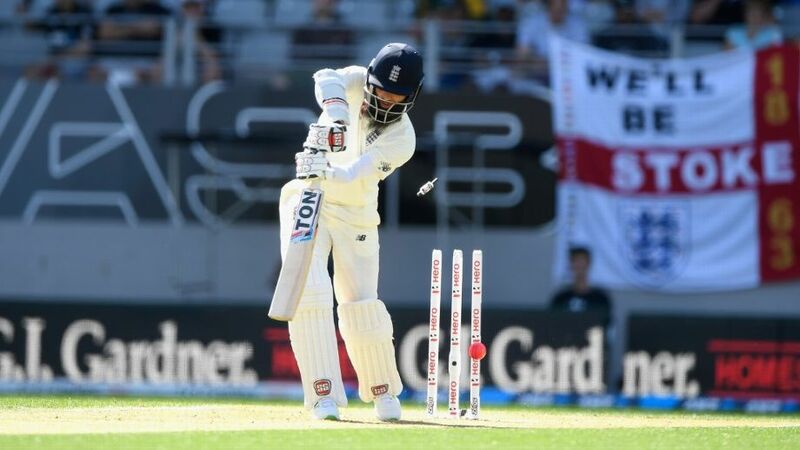 LONDON: England all-rounder Moeen Ali could be dropped for the first time in his Test career as England search for a solution to their overseas woes after the innings defeat at Eden Park, which included being bowled out for 58. According to Cricinfo, Moeen played his 50th Test in Auckland and has only missed one Test since his debut in 2014 – that was due to injury, which forced him to sit out the Antigua Test against West Indies in early 2015. However, his torrid Ashes form has followed him to New Zealand as he made 0 and 28 with the bat in the first Test, then took 0 for 59 off 17 overs having averaged 115 with the ball against Australia. Another option would be to hand Jack Leach, the Somerset left-arm spinner who replaced Mason Crane, a first outing. England is likely to be wary of lengthening the tail, but the onus should be on the top order to do most of the run-scoring and Moeen has barely contributed with the bat recently. England’s thinking will be partly dictated by the fitness of Ben Stokes who struggled with his back towards the end of his four-and-a-half hour 66. However, it is believed the pain stemmed for the amount of time at the crease – it was Stokes’ first first-class match since September and his fourth-longest Test innings in terms of balls faced – rather than a reaction to his attempts to increase his bowling workloads in training. Shortly before the first Test, it was decided he was not ready to act as a fifth bowler, but he ran through his action before play each day.